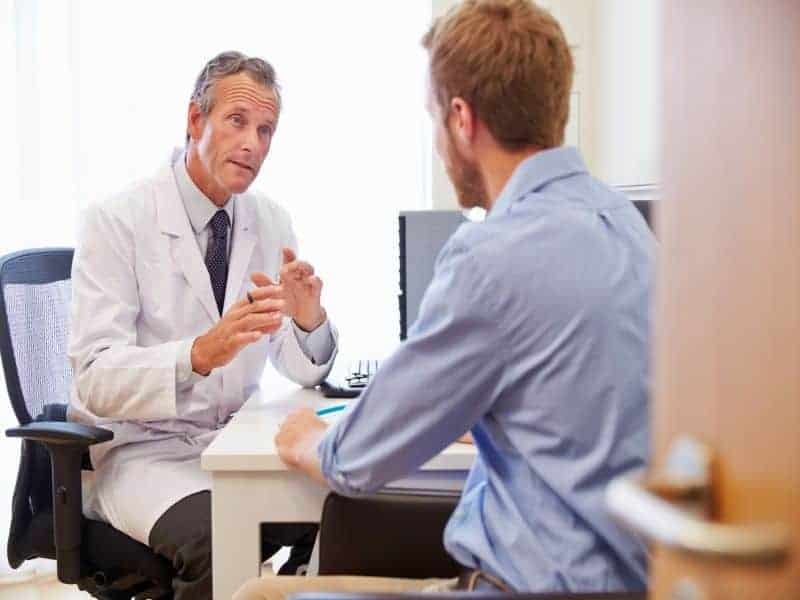 FRIDAY, March 15, 2019 (HealthDay News) — Testosterone therapy (TTh) can prevent progression to type 2 diabetes (T2D) in men with prediabetes and hypogonadism, according to a study published online March 12 in Diabetes Care. Aksam Yassin, M.D., Ph.D., from the Institute for Urology and Andrology in Norderstedt, Germany, and colleagues examined whether TTh in men with hypogonadism and prediabetes prevents progression to T2D. Data were included for 316 men with prediabetes and total testosterone levels ≤12.1 nmol/L combined with hypogonadism symptoms. Overall, 229 men received parenteral testosterone undecanoate (T-group) and 87 served as untreated controls. For eight years, metabolic and anthropometric parameters were measured twice yearly. The researchers observed a decrease in hemoglobin A1c (HbA1c) by 0.39 ± 0.03 percent in the T-group and an increase of 0.63 ± 0.1 percent in the untreated group. Ninety percent of those in the T-group achieved normal glucose regulation (HbA1c <5.7 percent). Progression to T2D (HbA1c >6.5 percent) occurred in 40.2 percent of those in the untreated group. Significant improvements were seen in fasting glucose, triglyceride:high-density lipoprotein (HDL) ratio, triglyceride-glucose index, lipid accumulation product, total cholesterol, low-density lipoprotein, HDL, non-HDL, triglycerides, and the Aging Males’ Symptoms scale in the T-group, while significant decreases were seen in these parameters in the untreated group. “Testosterone treatment holds tremendous potential for the prevention of diabetes in the rapidly growing population of men with hypogonadism and prediabetes and warrants further investigation,” the authors write. Several authors disclosed financial ties to Bayer, which funded the study.